Some days being a woman closely resembles a juggling act at the circus. We juggle chores, responsibilities, spouses, children, and jobs, all while trying to look graceful and cheerful. The world tells us to grin and bear our rushed lives with grace and charm. If we would just get up earlier and have a better scheduled day, we’d be able to fit more in our already jam-packed life. We should just smile and suppress our exhaustion, while pretending to be someone who has life all figured out. But that worn out woman is tired, resentful, and weary in body and soul from juggling life. Newsflash for women everywhere: We can’t do it all! Eventually our bodies crave rest and our spirits are cranky from too much on our plate. But what’s a worn-out woman to do? How can we manage a packed life and find joy among the seasons of busyness? Life can go at a break-neck speed if you let it. Make a conscious effort to slow down your life, and to savor the moments you have with family. While a to-do-list a mile long can be overwhelming and daunting, break your day into manageable pieces of time and focus only on the MOST important items to get done at that time. 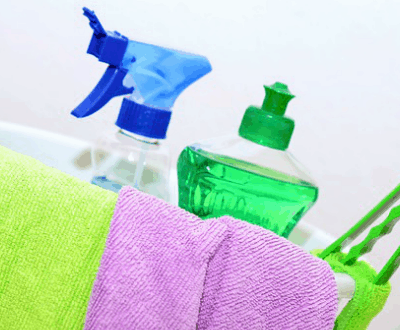 Sure you may need to spring clean and do five loads of laundry, but if it’s not time to tackle those tasks, put them out of your mind. Be fully present and focused on the task at hand, no matter what that task is. When you’ve scheduled time to work, focus only on the work before you. When it’s time to be with the kids, fully focus on them and on your precious time together. Be careful not to let social media destroy your allotted time to get things done! It’s a time-trap! When you’re scheduled to the max and there is no margin for life to happen, it causes stress and anxiety! By allowing room for sickness, tiredness, and just plain life, you feel better knowing there will be time to finish the task at hand. 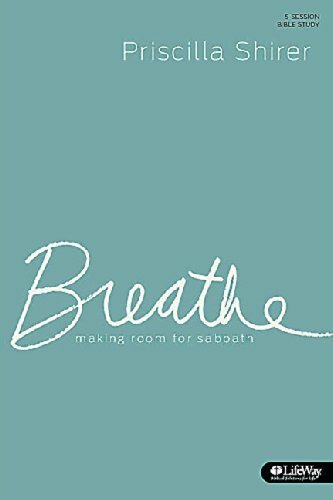 Breathe, by Priscilla Shirer, is a must-have resource for the busy woman who tries to do it all! 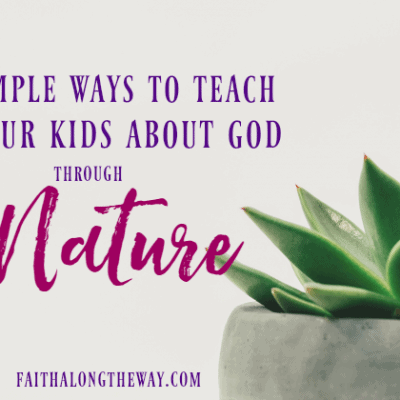 She gently points to the freedom found in taking a Sabbath rest, as well as practical solutions for making it work for you. When busyness roars it’s ugly head, don’t neglect your spiritual health. Renew your mind in God’s Word, allowing Him to help you prioritize and add margin into a busy life. 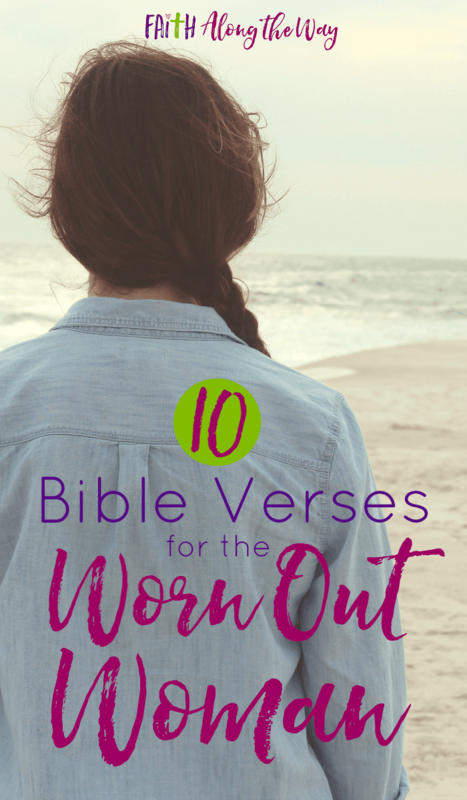 Learn how easy it is to meet with God each day, even when you’re weary and worn. When I focus on my to-do-list, I am likely to have a panic attack and want to retreat back to bed! But when I focus on the peace that is promised by the Lord, my heart is tuned to sing His praises, even in my busiest moments. I can then lay my rushed and hurried life at His feet, praying for Him to guide my steps. When life seems out of control, I remember that He is IN control. My busy, distracted life is not what He wants from me. He wants my heart to be tuned towards Him, praising Him for His sacrifice at the cross. And when my eyes are fixed on Jesus, that alone fills and completes a busy woman like nothing else. Friends, you can’t be perfect at everything. You are not God. When we try to be perfect and give the illusion that we have life figured out on our own, we are diminishing our need for a Savior. Ask yourself why are you striving to be perfect. Is it to show others how great you are? 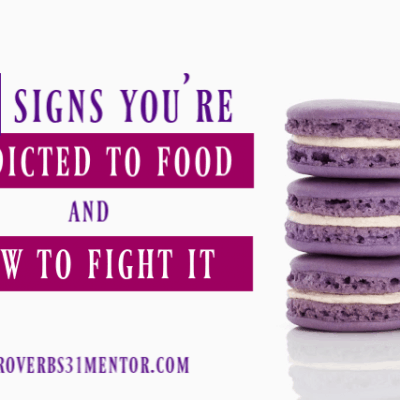 Or is it a heart-issue that needs to be surrendered to the Lord? Our need to be perfect can become an idol; one where we take our eyes off Jesus and put them onto the good works we are doing. Learn to enjoy life again. Laugh, dance, sing, and just be silly, as a way to release the stress. When’s the last time you’ve smiled? Make time for rest. When we juggle life and are worn-out and weary to the core, we can’t serve others the way God wants. Lay your busyness at His feet, find rest in Him alone, and relax knowing you weren’t meant to do it all. You’re not Super Woman! Beautiful words of promise. Thank you. I hadn’t heard of the 31 days book; I’ll add that to the queue. Enjoy it! It is a great read! Great bible verses. Also great books. I have yet to read “best yes” it is on my to read list. I have read Ruth’s book though and it was good. I can’t wait to read The Best Yes! I’ve heard it’s amazing! Thanks, Kim! I am so glad they encouraged you today! 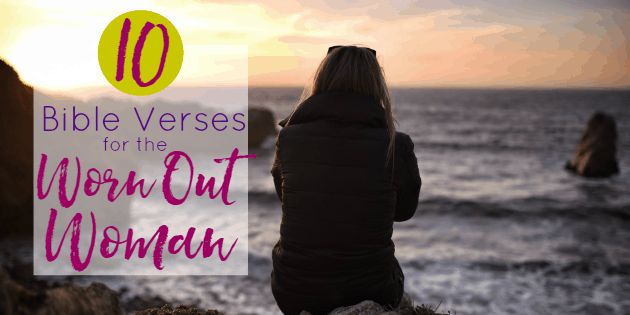 Wow love all these versus and these wonderful reminders – we women (younger and older – I am midlife) get worn worn worn out with our lives!!!! This is great! Clare Speer recently posted…Spring Is In The Air! I think women of all ages and stages battle weariness with the pressure and all of our responsibilities before us! 🙂 It’s tough being a woman sometimes! Oh, my. Thank you so much for this post. It is just what my soul needed today. I am really struggling today with grief and soul-weariness. I needed to be reminded of Isaiah 40:29 today. I’m praying for you in your weariness! Cling to God’s Word for hope and strength! Oh, I needed, needed, NEEDED these verses today. Every one of them. Thank you! God knows right where to send me when my world seems to be spinning. I understand, Keianna! He does the same thing for me! I’m honored this encouraged you today. Blessings to you! 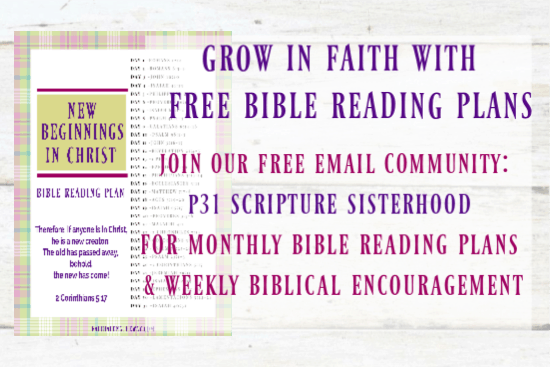 Yes, it’s so helpful to surround yourself with Scripture and it is truly a life line! Beth recently posted…Would I cure Autism, if I could? Me, too! I find that I get worn out SO fast these days! Life can be daunting! I love these verses of encouragement! It has been one of those days here and I needed to refocus on the Lord and His goals for me. Thank you! I understand those days, and well, if I’m honest, those seasons of life. May your soul find rest in the Lord alone! I love these verses. I’m actually going through the Best Yes now and it’s awesome! 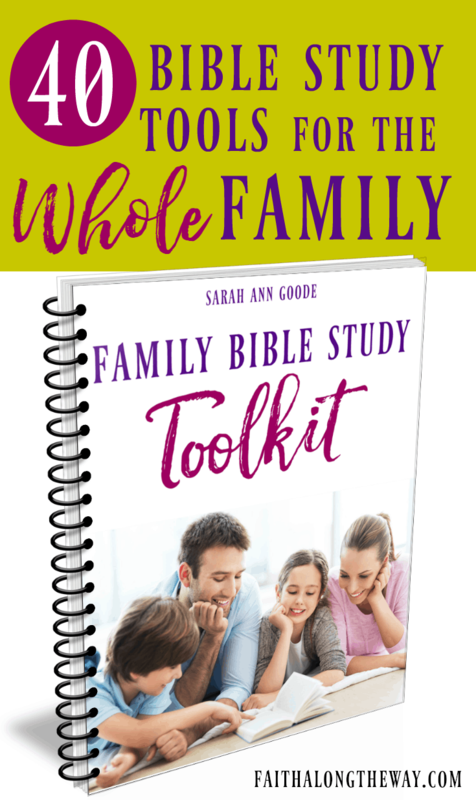 Nicole recently posted…Why I DO need Women’s Ministry. I’ve heard it’s amazing! Can’t wait to read it! Wow, Bible verses and great book recommendations. Glad to have found your post at Grace and Truth! Thank you, Michele! I can’t wait to read The Best Yes! Sarah, great post. We all can use a reminder of who is really in charge. I get worn out and I needed this. Thank you! It’s so easy to lose focus and forget God is in control, but He is! Blessings to you! Beautifully written Sarah! Pinning to my “Healthy Home Life” board. This is my absolute biggest downfall, trying to do everything. Okay, maybe others would disagree and point out even bigger downfalls of mine… but this is the one I’ve been thinking about the most lately. Thanks for this post. Jenny @ Unremarkable Files recently posted…Who Do I Speak To About Opting Out of Daylight Savings Time? I understand! It’s so easy to try to do it all, but we need to remember we weren’t made to be perfect! Thank God for that! I love this, it’s a balm to the soul! Great encouragement! 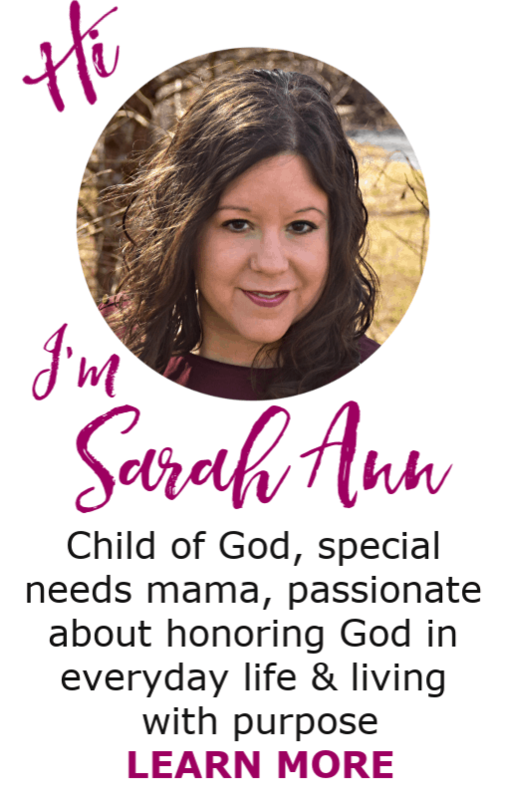 Thank you so much Sarah Ann for linking up to my new link party! It means more than you will ever know! I’m so glad to be a part! Congrats, my friend! You did a wonderful job of sharing your insights along with perfect Bible verses to illustrate those insights. Thanks so much for your kindness! I so honored it blessed you! What astounds me is that we all know this and yet we need constant reminders. Thanks for the reminder today, Sarah Ann. We can’t do it all AND THAT IS OK! We DO need constant reminders! I wish I could say I easily learned and more importantly, remember these truths from the Lord, but I apparently have a short memory when it comes to remembering what God has done on my behalf. I am just like the Israelites! Great reminders to slow down and enjoy life, something many of us aren’t very good at. I am not good at it at all, but striving to find more balance than I ever have before. 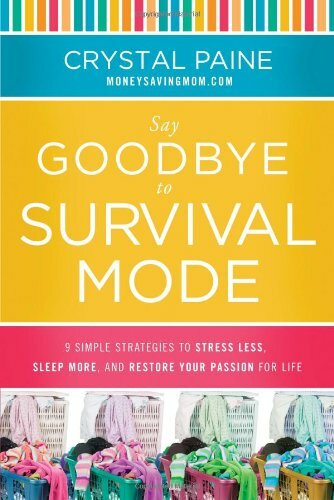 I am LOVING Lysa’s book and couldn’t recommend it more! My daughter died Dec. 20th, 2014. All I could think of as joy was that as my 30 year old died of a brain aneurysm there were nine people receiving gifts of life and sight. In some other hospitals families were crying tears of joy even as I was in shock. Now almost 8 months out I am lost without her. We were so involved in each others lives. She had not married or had children. My only consolation is her being generous to strangers as she always was to her friends. I have constant memories as she lived with me recently and was my memory, my encourager, my soft place, just as I was to her. I am hanging on but still don’t grasp how God took all I lived for. Now I have no answer as to why I’m still breathing. Easter (her birthday) and Christmas (when she died) are the greatest of Christian days. I don’t know if I can ever celebrate again. Praying so hard for you, Jayne! May the God of all hope and redemption fill you with joy in His presence. May He heal your wounds and give you new life in Him. Please stop by to let me know how you are!